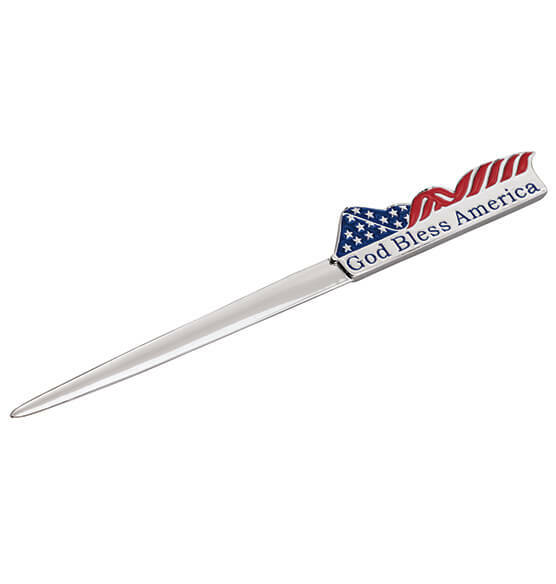 God bless America personalized letter opener adds an elegant touch to your desk and makes a unique gift. High-quality, heavyweight electroplated pewter. 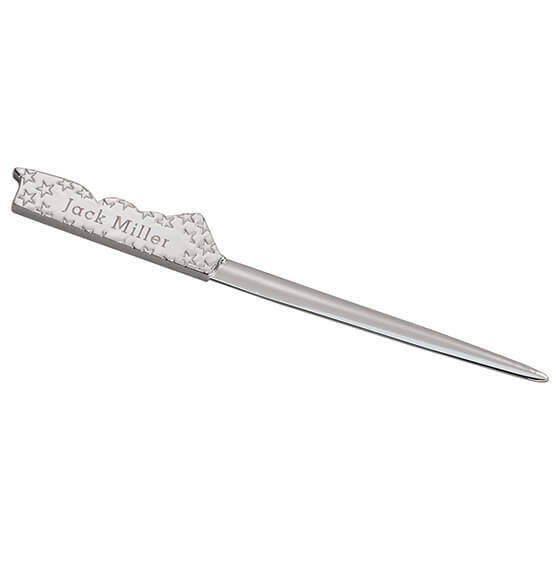 Personalized letter opener measures 7 1/4" L. Specify name, up to 20 letters/spaces.